In case you've missed our recent big news - we've moved yards. 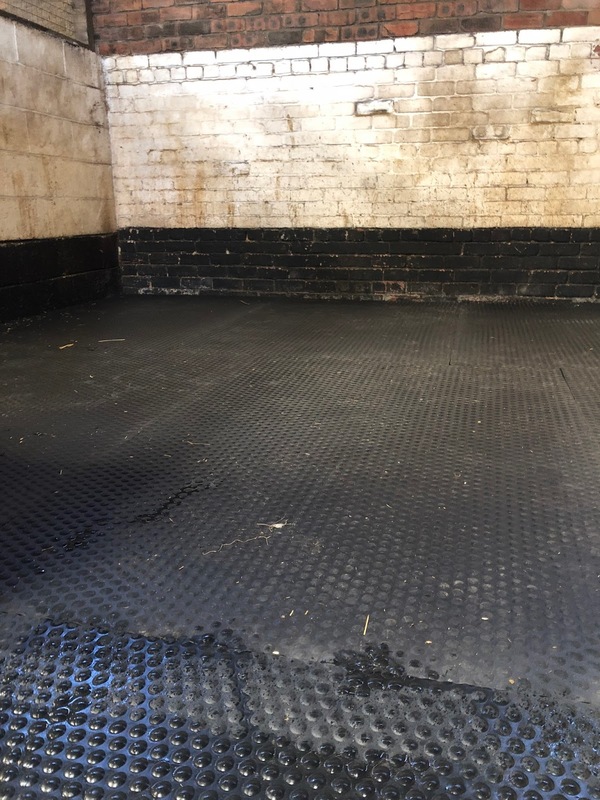 Our new stable, while HUGE, was concrete based & I'd not thought much about it except that Louie would need a bigger and deeper bed to make it comfortable and supportive for him. 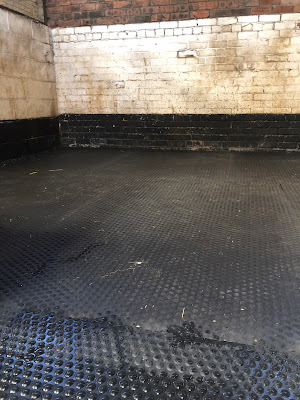 However, after a quick bit of research with Andrew, I started to see that adding rubber matting to the floor of the stable had many benefits. And that's where we discovered Horse Mats Plus! Why did I opt for rubber matting? Let's start at the beginning... What was it that changed my mind into purchasing rubber stable mats? What are the choices of stable mats? I soon learnt that there were literally so many choices of mats!! From varying thicknesses to different types of rubber... How do I know what I need? After reaching out to Horse Mats Plus for some help with our selection, Abi got in touch with us. Abi spent a long time asking questions and finding out about what our needs were, before recommending a mat from their range - the 44mm EVA stable mats. Abi explained why she recommended these and how they fitted with our needs, including specifics about Louie, such as his size and how that affects the thickness that should be selected. 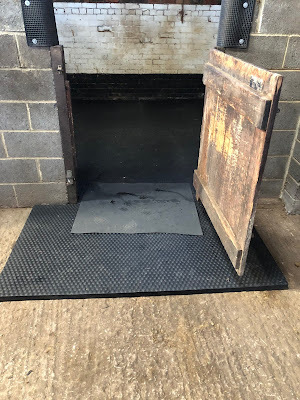 Abi had considered that we wanted to be able to lift the mats to clean them and the stable floor beneath during the summer months so highlighted that these are easy enough for 1 person to move. 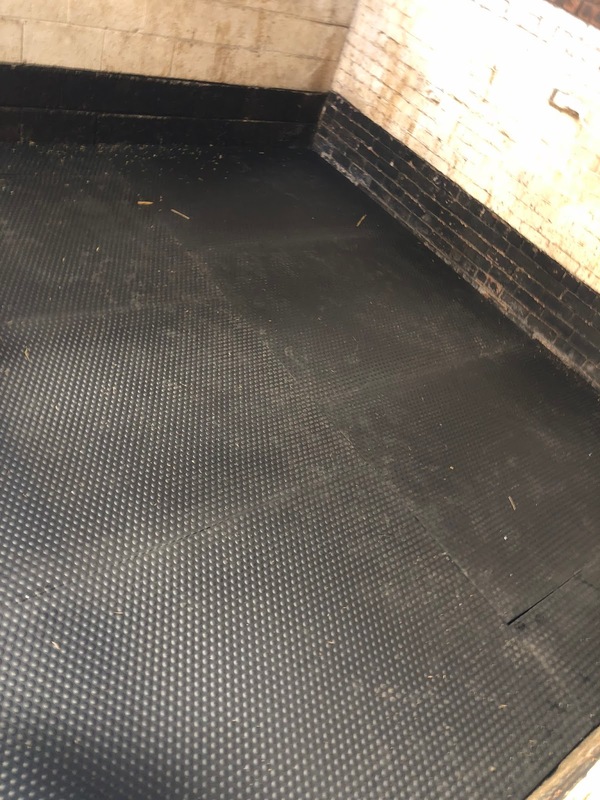 Traditional, 100% rubber mats are notoriously heavy, needing two people to carry them and suffer from expansion & contraction meaning putting them back down into the same place can be like a wrongly solved jigsaw! Purchasing the mats was really easy and straight forward - Andrew did it over the phone on Wednesday. Before Thursday lunchtime, the mats were delivered! Considering they are based in Devon and us in Northumberland, & even with modern day delivery services, I thought this was particularly impressive. It meant Louie could spend the first day and night on his newly kitted stable, comfortable, warm & I knew I wasn't going to need to lift the whole bed back up to get them down at a later date. Abi had taken time out to explain the way in which the mats should be installed to the stable. We learnt that they shouldn't be placed in a standard grid, but instead should be offset to each join. This helps to minimise movement of the mats and should stop the mats lifting over the top of one another. I have to take ZERO credit for the installation - Andrew, together with the help of his Dad, did a great job of making Louie's stable fully kitted out ready for his arrival the next day! Louie is stabled on straw, with banks on three sides, and with just 30 minutes at the yard on a morning before scooting off to work, I need to make sure mucking out doesn't slow me down. The mats do exactly what they say - they enable good drainage and I don't need a super deep bed every night. Although it's only been a week, I've yet to get bogged down in lifting heavy, wet bedding out of my bed. Louie isn't always the tidiest in stable, but mucking out takes me 10 minutes - lifting all the muck out, lifting all the straw to the banks, putting some new straw down if needed, and putting the old straw back on top. 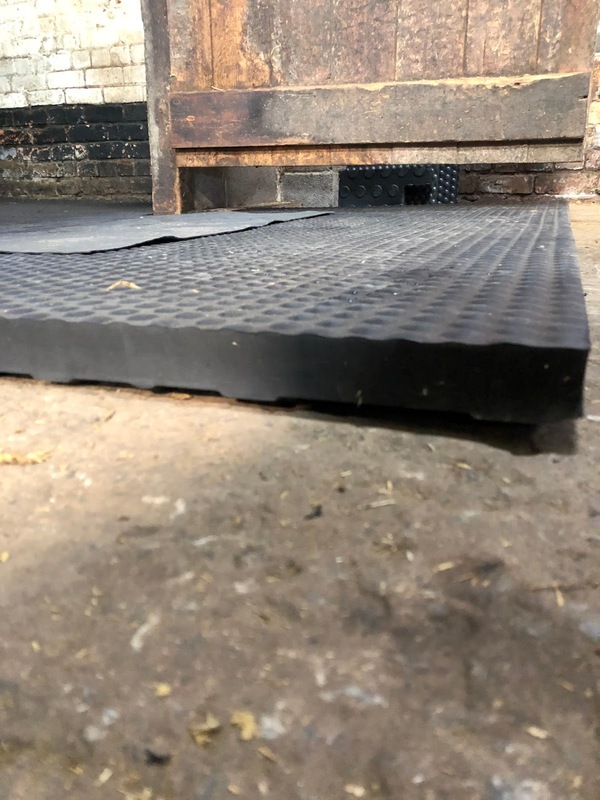 The mats really are a helpful piece of kit for everyday yard use, as well as helping to keep Louie nice and insulated while the mini beast from the east gives us all it has, and temperatures are back to below freezing. If you're looking to make stable life easier and more accommodating to your horse, make sure you take a look at the Horse Mats Plus website, as well as checking them out on Facebook and Twitter.